The courts with the passage of time and seeing the rise in the number of false cases for specific performance of contract and that too coming after the lapse of many years could sense that if the document relied was genuine and valid, then why the petitioner took so many years to come before the court (which is also a defence being taken by the defendant), the petitioner not ready and willing to perform the part of his contract etc. In fact there are many other factors which the court must take into consideration before granting or denying the relief for specific performance. After how many years the plaintiff has filed the case and what was the explanation given for the reason of the delay in filing the same and relation of the parities at the time when the document was prepared and the time when the suit is being filed. 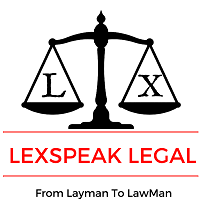 What precautions were being taken by the plaintiff in the meantime before filing the present suit is also an important factor i.e. any notice send to the defendant asking him to come forward and perform the part of his contract, public notice given to avoid any third party interest being created, notice to the registrar intimating about the pending agreement with the plaintiff. The conduct of the parties i.e the plaintiff as well as defendant are important factor to be looked into while granting the relief for specific performance. Time period during which the contract is to be performed and whether the plaintiff’s financial capacity was such to perform the contract at a stipulated time and whether the plaintiff bought any stamp paper on the day as stipulated to show his finical capacity as well as readiness and willingness to perform the contract on his part. The document was oral/written, registered, properly witnessed and vague or specific mention the date on which the sale deed is to be executed. If the terms of the contract allow the plaintiff to seek the compensation in terms of money then the courts can deny the specific performance of the contracts. The element of hardship being caused to the defendant is also an important factor while deciding the relief for specific performance. If the plaintiff can be compensated with the alternative adequate relief then the courts generally do not grant the relief of specific performance if the conduct of the plaintiff is such which would disentitle the plaintiff to get the same. Since the law of Specific performance being an equitable relief, balance of equities have also to be struck taking into account all these relevant aspects of the matter, including the lapses which occurred and parties respectively responsible therefor. Before decreeing specific performance, it is obligatory for courts to consider whether by doing so any unfair advantage would result for the plaintiff over the defendant, the extent of hardship that may be caused to the defendant and if it would render such enforcement inequitable, besides taking into (sic consideration) the totality of circumstances of each case. Not only this the courts can himself become the complainant and lodge a complaint against the plaintiff if the defendant proves that the document relied upon by the plaintiff is forged and false.